In 1975 Russell Mazzei was the publisher of the Clovis Independent and Tribune. Mazzei initiated the first Clovis Hall of Fame to honor “the old timers of Clovis.” The charter members were: Al Biglione, Clayton “Doc” Pendergrass, Loris Grossi, Einar Cook and Lawrence “Shorty” Sassano. 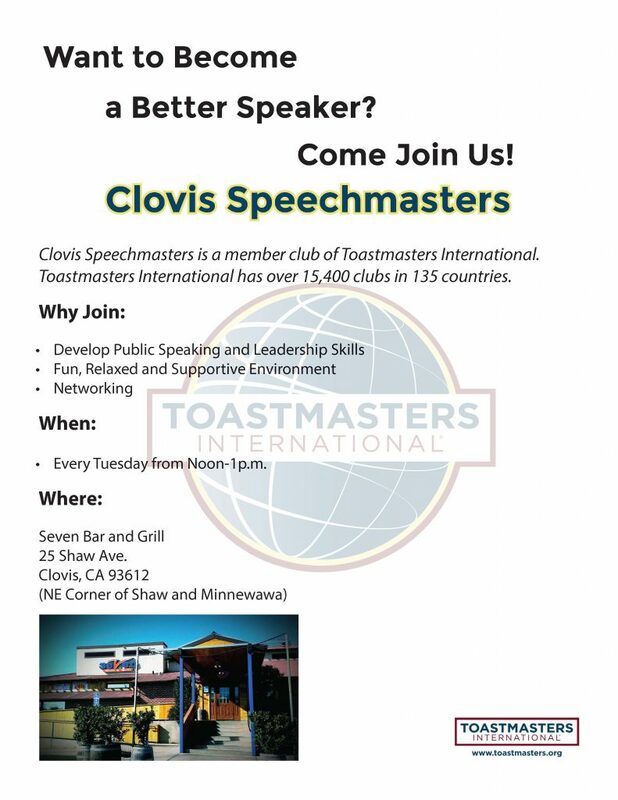 It was noted that their combined individual years of dedication to Clovis would total over 300 years. Rex Phebus (born in Clovis in 1920) was awarded the “Citizen of the Year” award. He was Director of the Clovis Veterans Memorial District for 30 years (1954-1984). A special award was presented to Mrs. Norma Hoskins who had moved to Clovis in 1900 and was celebrating her 91st birthday. “In the shadow of the Sierras where snow-capped peaks are seen, Lies the little city of Clovis, quiet, peaceful and serene. Clovis is a good town, our crime rate is low. We have little trouble here, that’s what is making it grow. But it’s hard to have a good town unless you have good people. It’s like trying to build a church, and leaving out the steeple. And I think the sole purpose for having this Hall of Fame, is to let folks know, that these men helped to give the town it’s good name. But first let’s thank the Independent, who originated this event, For the honor and enjoyment of this gathering is well worth very cent. It has been a huge success, and we are pleased to hear that the Independent is making plans to repeat this event each year. There are many things in this world, of greater value than wealth. But the thing of utmost importance is our well-being and our health. We are fortunate to have Doc Pendergrass and it is easy to tell that the thought that is upper-most in his mind is to keep us alive and well. Good nutrition is essential to keep us in our prime. Loris Grossi, known as Lorie, has been our supplier for quite a long time. He started out in a small Clovis store, when he was quite a young boy, now he owns a large super-market which has been his pride and joy. Lawrence Sassano, known as Shorty, started out away back when he worked with his father in their tiny store where they sold clothing for men. As business grew he built a larger store, just across the street where he has a full line of men’s clothing to keep you well dressed and neat. To grow this food and fiber good machinery is a must. There’s the Cook Disc and Implement Company which you have all heard of I trust. Owned by operated by Einar Cook, he supplies the farmer’s needs with his up-to-date tools they can till the soil and also sow their seeds. But the tools of today need the proper fuel in order to operate. The Biglione Petroleum was built by Al in 1968. He has dealt in petroleum for many years but by now he was getting tired. He managed the plant for several years then in ’73 he retired.